Galloway Forest Park is one of the darkest places in Scotland, which is why it is the UK’s only Gold Status Dark Sky Park and one of only 3 in Europe. So few people live within 75,000 hectares, which make up the Forest Park, that the nights really are inky black, making it a brilliant place to enjoy the stars. The Forest Park has a Sky Quality Meter (SQM) scale reading of 21 to 23.6. To put it in context, a major city such as Glasgow or Edinburgh, you would get a reading of around 8, whereas a reading of 24 would be measured in a photographer's dark room. Based on this scale, the Forest Park’s score gives us as near to total darkness - meaning clear, starry skies for all to enjoy. Over 7,000 stars and planets are visible with the naked eye from the Forest Park, and the bright band of the Milky Way is usually easy to see arching across the sky. Satellites, the International Space Station and meteorite showers are also able to be seen without the need of binoculars or telescopes. Brookford B&B sits on the edge of the Dark Skies Park in the pretty little village with the big name, Saint John’s Town of Dalry. Being in such proximity and with the village producing so little light pollution, due to the LED Downlighters replacing the traditional Sodium street lights, a spectacular light show can be seen from the Stargazing platform built for guests' use at the side of the house. However, the really mind blowing stargazing experiences are to be had only 20 minutes drive from Brookford, particularly if you are in the company of one of the Dark Skies Rangers! Firstly, Dark Skies Rangers keep a trained eye on the weather at all times and combining this with the best stargazing locations, they can maximise the chance of clear skies during the visit. It's their job to make sure visitors to the Dark Skies Park have the best astro adventure in Scotland! On a 2 hour Stargazing Tour with a Dark Skies Ranger, visitors will learn about the Solar System, Galaxy and Universe, all expertly explained by Dark Sky Ranger, Jesse Beaman. Using the equipment provided by Jesse, stargazers will be able to view deep sky objects through 100x magnification binoculars and gain access to apps – such as the ISS Spotter and SkyView apps, software, websites and books. To make a lasting memory of the experience guests will receive complimentary astrophotography images of you and your companions under the stars taken by Jesse, a professional Astro Photographer. 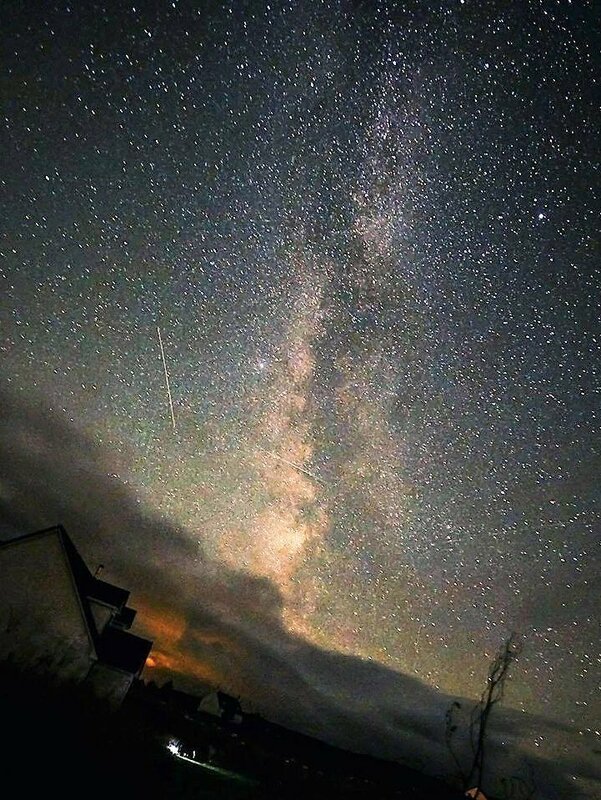 All in all, a truly unforgettable experience and one that can be repeated every time you visit the Galloway Dark Skies Park and surpassed only by an evening visit to the Scottish Dark Skies Observatory situated overlooking Loch Doon on the edge of the Dark Skies Park. 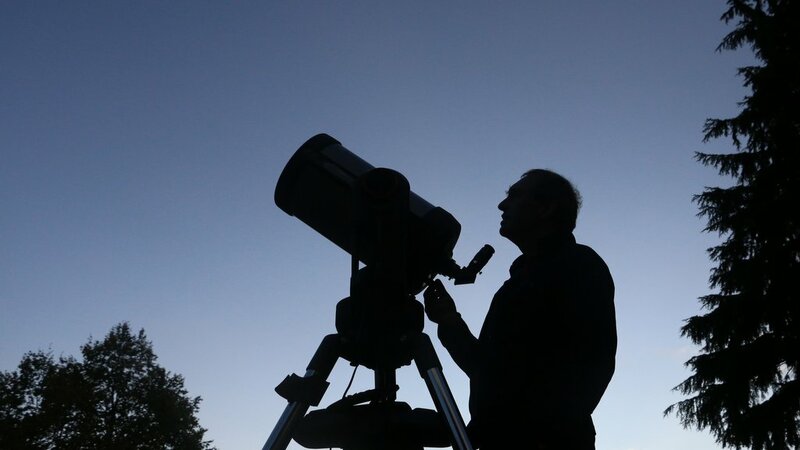 Attending an organised event is the best way of finding out about the Observatory and the equipment that can be used by the amateur astronomer. An evening session includes an introductory presentation, followed by a tour of the facility and the telescopes. If it’s a clear night, time will be spent observing the night sky and using the telescopes, highlighting the many stars and constellations visible in the night sky. An evening session normally lasts for 90 minutes – slightly longer if it’s a fully clear night. While Galloway Forest Park is crucially very dark, there are several other locations where the sky is particularly dark including the Moray Coast, Isle of Skye, Glen Nevis, Lochaber and the Royal Observatory, Edinburgh. For a sighting of the Aurora Borealis, the nights need to be cold and the sky clear of clouds and increased solar activity. Wrap up warm, take a flask and enjoy. SPECIAL OFFER - 2 hour session exploring the solar system with Jesse Beaman, a professional Astrophotographer at one of the Galloway Dark Skies Park’s best stargazing spots. 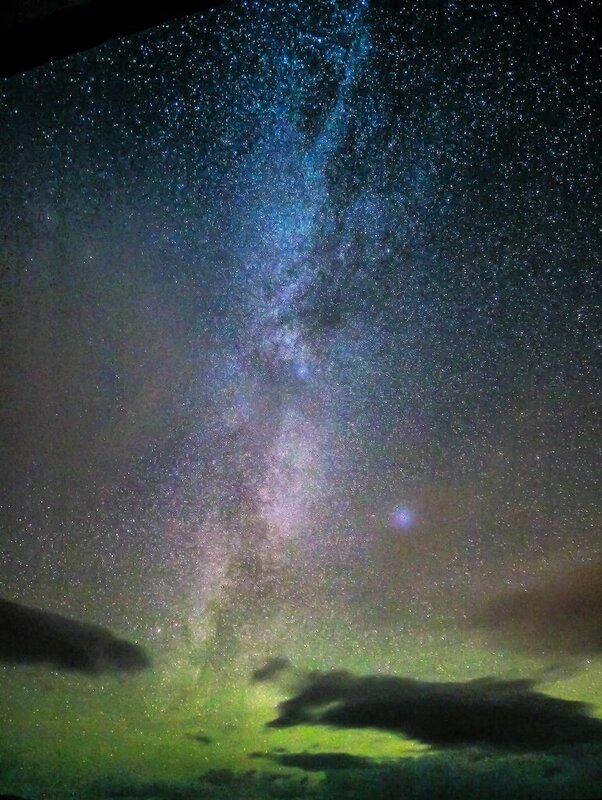 This unforgettable evening will be rounded off with an image taken by Jesse of you and your partner with the heavens as a unique backdrop. Offer Valid for visitors staying 2+ nights between 01.10.17 - 28.02.18 priced at £75 per person, per night.